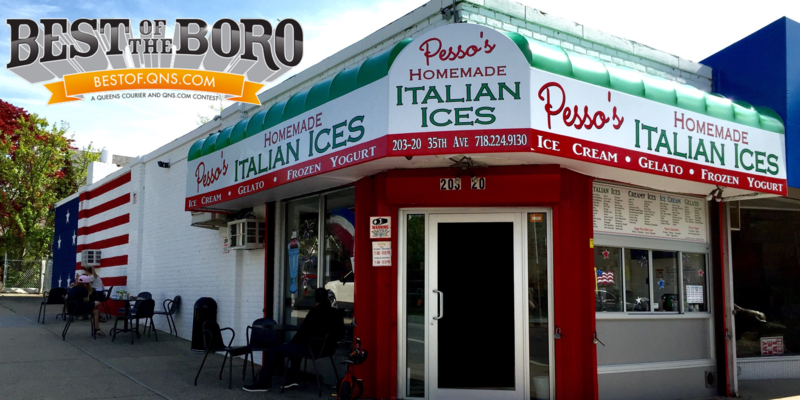 September 18, 2018 September 18, 2018 Pesso's IcesLeave a Comment on Our homemade Cotton Candy Ice Cream tastes just like a creamier version of the real thing – with Rainbow Sprinkles, because Sprinkles make everything better. Our homemade Cotton Candy Ice Cream tastes just like a creamier version of the real thing – with Rainbow Sprinkles, because Sprinkles make everything better. Previous Our new Fall Hours are 1 PM – 10 PM Everyday, so you can still enjoy your favorite desserts all day and night! Next It’s a perfect day to cool down and enjoy a sweet & rich homemade Chocolate Italian Ice!